Starting with the 1958 models, Continentals and Lincolns no longer used a frame. 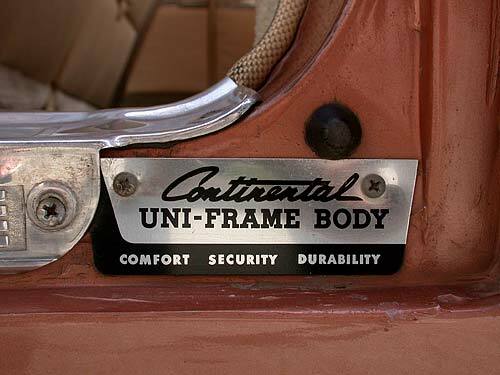 The Uni-Frame body provided "comfort, security, and durability." By 1959, many of the problems inherent to unibody contruction on such a large car were solved.